Meal kit delivery services are currently big business and still growing in Canada’s billion dollar food industry. Food columnist Andrew Coppolino looks at where the price point makes old-fashioned grocery buying more appealing. Companies like Good Food, MissFresh, Chefs Plate and HelloFresh operate by a few simple steps: "We plan. We shop. We deliver. You cook." 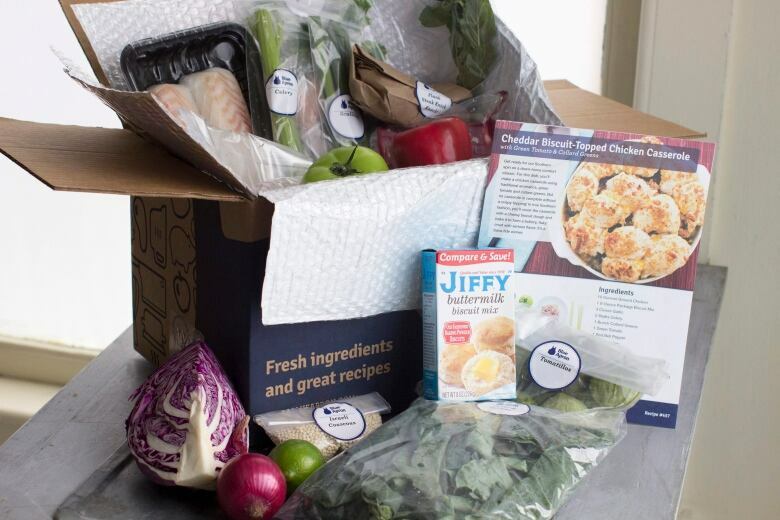 Meal kit delivery services like these are currently big business and still growing in Canada's billion dollar food industry, shaving off hundreds of millions as they pop up. Meal kit services are popular with Millennials and anyone who doesn't have the inclination or the time to shop, prepare and cook meals. They eliminate, or at least greatly reduce the leg-work and trouble of getting dinner on the table. You select recipes online, choose a delivery date and a box is dropped off at your home, replete with ice packs so it doesn't matter if you're not there. The meals can be on the table in about 30 minutes, and there are even 15-minute express options. For grocery stores and restaurants, meal kit services are industry disruptors even though it's hard to distinguish between the companies. Prices are roughly the same: between $10 and $15 for a meal. Cost isn't the only differentiator, however, according to Sylvain Charlebois, professor in the faculties of management and agriculture at Dalhousie University. "There are some differences around quality, variety, freshness and choices around dietary needs. 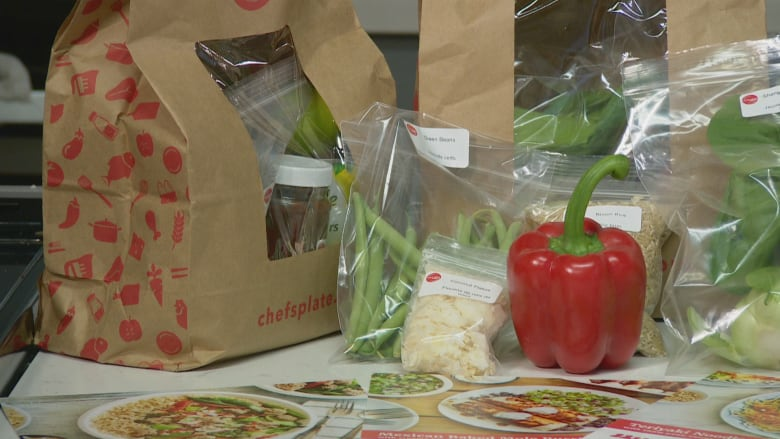 Price points do vary slightly from one to another, and it is highly competitive," Charlebois said of the meal kit industry. Some companies are Canada-wide and others like Dinnerlicious of Hamilton and Fresh City Farms in North York have more limited range. What isn't limited is the appeal that these services have: for busy people and those uninterested in shopping for food, they are convenient and fit in with the technology and smart phone app culture that is a growing one. Some folks see the kits as helping reduce food waste at the shopping end via portion control, and the companies all hit many of the right marketing notes with buzz words such as sustainable, farm-to-table and hormone free, concepts that appeal to a large demographic of food shoppers. Charlebois adds that the marketing is somewhat at odds with the companies' revenue generation. "What's ironic is that a lot of these companies are really investing in marketing, but in a rapidly growing market it's usually the opposite," he said. "When a market is growing, like for meal, you don't have to spend that much on marketing. It really points to how competitive it is." For households with both parents working full-time and kids at soccer practice and music lessons after school, meal planning and shopping can be laborious and perhaps even impossible. But for a family of four, the per-meal cost of using kits can climb: four meals could add up to nearly $50. Three supper purchases in a week would eat up $150, which could go a lot farther in the grocery store — if you can get there. Other disadvantages in meal kit services include dietary preferences and cultural and religious food needs, answering the desire for eating "local food," the logistics and convenience of deliveries, the fact of the transportation required and what some users cite (myself included) as a significant amount of packaging waste, though, to be fair, the services continue to work on this aspect of the business model. Ultimately it is a question of whether or not many of these businesses are sustainable. Many consumer are willing to experiment with food and are likely to be one-offs trying a meal kit when there is a discount or if they have a trial offer coupon. Do they return with regularity? And how long will they stay? And are these disruptors vulnerable to disruption themselves, given the magnitude of Amazon – the delivery behemoth – having bought Whole Foods in the United States for nearly $14 billion. That move solidifies their bricks-and-mortar presence at the same time they have plunged into the meal kit market? Charlebois says it will be a factor. 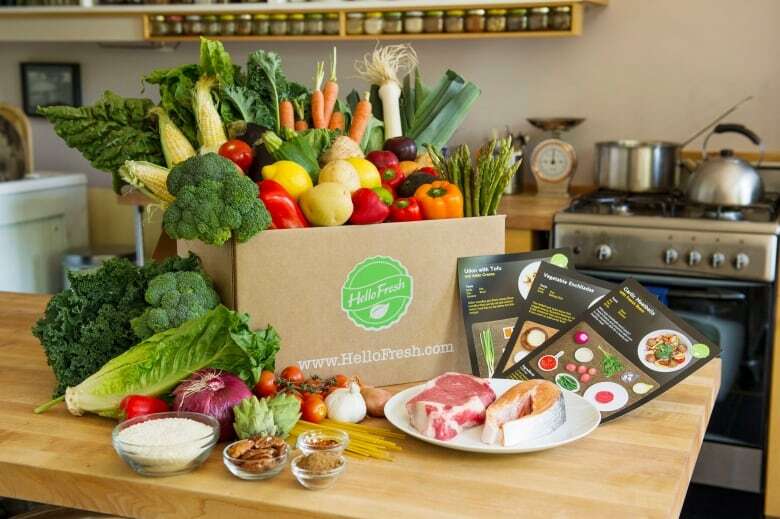 "In 2017, we saw Montreal-based Metro buying a majority interest in MissFresh, a ready-to-cook provider," he says pointing out that grocery stores have already sourced the raw ingredients that are needed. 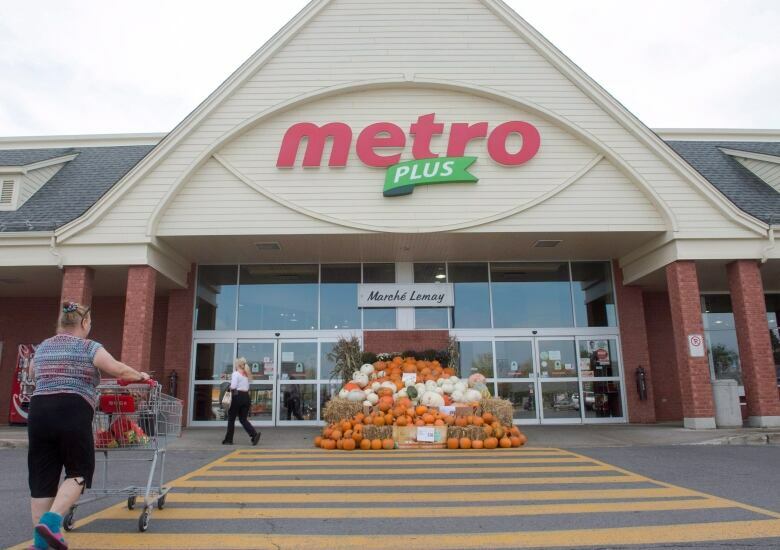 "I wouldn't be surprised to see more grocers do the same as Metro because they are not very well known in foodservice in general. "Instead of developing internal capacity, they will acquire the talent they need to deliver high quality products to people's homes." 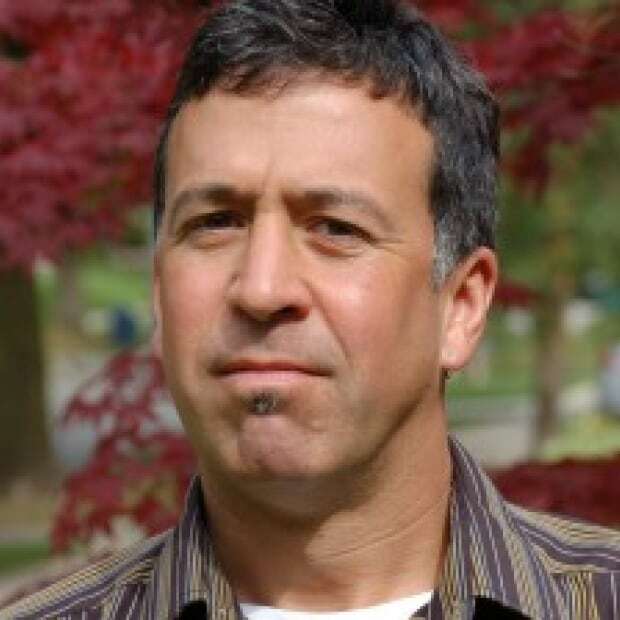 Andrew Coppolino is a food columnist for CBC Radio in Waterloo Region. He was formerly restaurant reviewer with The Waterloo Region Record. He also contributes to Culinary Trends and Restaurant Report magazines in the U.S. and is the co-author of Cooking with Shakespeare. A couple of years of cooking as an apprentice chef in a restaurant kitchen helped him decide he wanted to work with food from the other side of the stove.